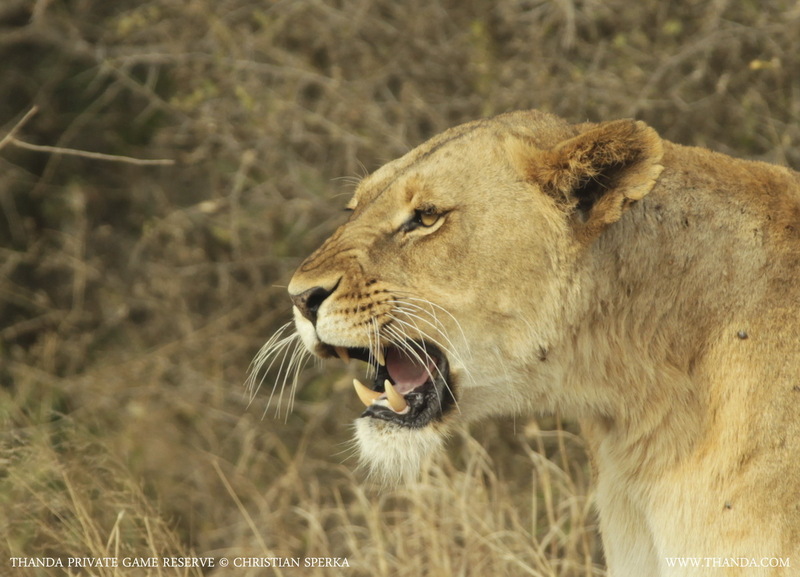 This afternoon the Thanda guests got a great display of Lion family life combined with signs of aggression! 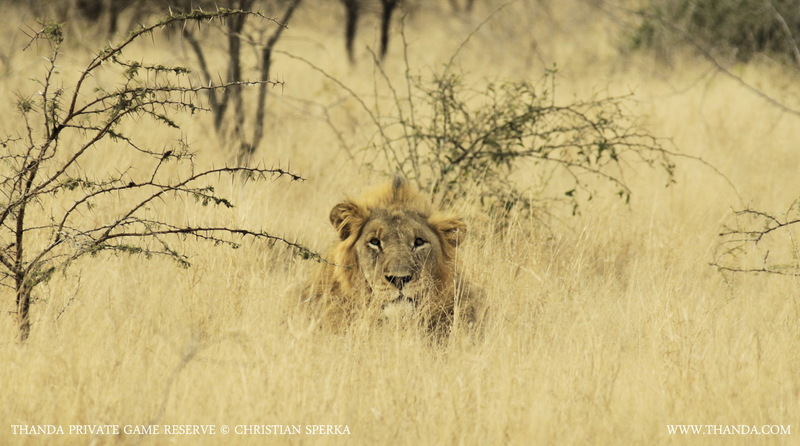 When Thanda’s dominant male and his family (two adult females and six cubs) walked out onto a savanna area they were greeted by the presence of another adult male Lion. The older female showed immediate signs of aggression towards the second male. A growling match followed. Thanda’s dominant male just observed the situation and placed himself between the second male and his pride. An exciting day for Thanda’s young Lions and for our guests!